›PME Sugarcraft Square Cake Board - 7"
PME Sugarcraft Square Cake Board - 7"
This cake board (cake card) is designed to elegantly present wedding and party cakes. 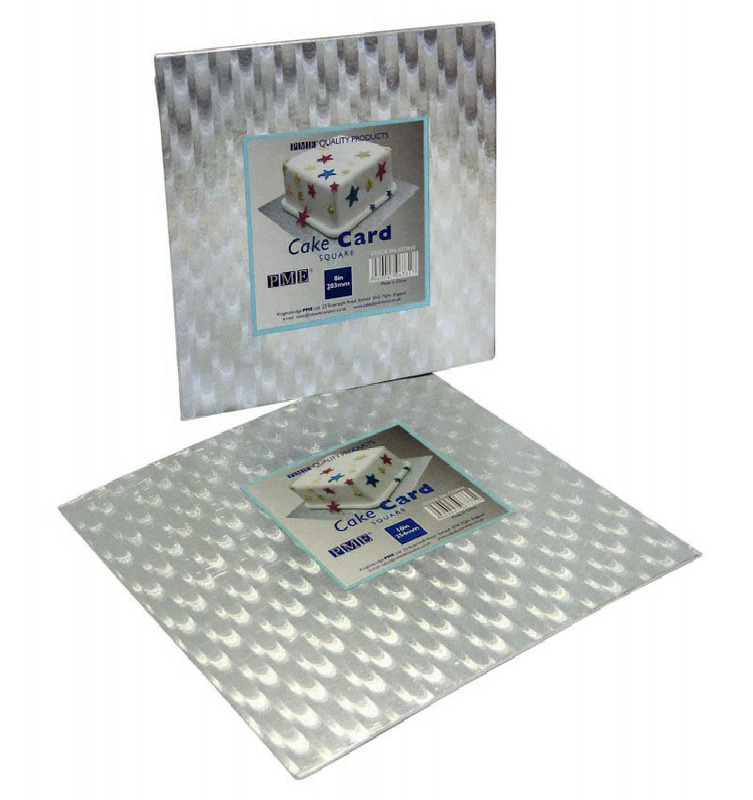 Strong coated cardboard is wrapped in metallic silver foil, providing a grease and moisture-resistant finish, with edges which won't compress under weight. The board has smoothly-finished edges without visible folds, is finished on the underside with white paper for a premium appearance, and is shrink-wrapped for protection from dust and dirt.